"Ogrintchouk plays beautifully ... with a just appreciation of the instrument's mellow tonal qualities. He has the understanding of how Bach's long phrases are braced by shorter ones within their spin, which is an essential quality of good Bach playing." "Four Stars. What's consistently authentic is the quality of Ogrintchouk's playing, with its fulsome tone and clean articulation. He's placed well forward in the sound picture but the contribution of the Swedish Chamber Orchestra is important, too; forget the musicology, it's a delightful disc." "... the recording is superb ... Ogrintchouk’s tone is attractively rounded, always expressive and beautifully phrased, with an effortless and breezy way of taking flight with the music which makes him ‘invisible’ in technical terms, masterful in the way in which he leads the band in interpretations which I have a feeling will be the standard to beat for many years to come." 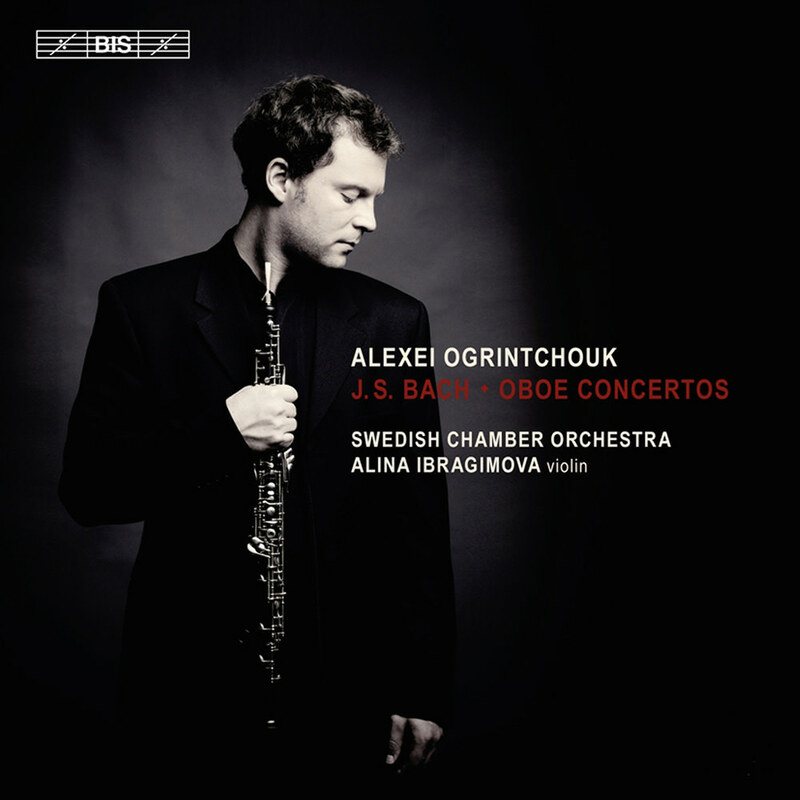 Alexei Ogrintchouk, one of today's outstanding oboists, presents four of Bach's works for oboe together with the Adagio from the composer's Easter Oratorio. Ogrintchouk also directs the Swedish Chamber Orchestra himself, joined by dazzling young violinist Alina Ibragimova in the well loved Double Concerto. Bach obviously cherished the versatility of the oboe and selected it to accompany arias that deal with grief and heavenly joys, repentance and pastoral calm. Researchers have long thought that his keyboard concertos were originally composed for other instruments and there's evidence that some of them were intended for the oboe, or oboe d'amore.